LONDON, March 22. /TASS/. A petition to cancel the United Kingdom’s withdrawal from the European Union on the British parliament’s website has passed more than 3 million signatures. The petition was registered on February 20, but it went viral recently, gathering more than 2 million signatures over the past days. The Petitions Committee at the House of Commons reported that it had the highest volume of sign-ups on record. On Thursday, the number of people willing to back the petition was so high that the website crashed because from 80,000 to 100,000 people simultaneously browsed it. The petition says: "The government repeatedly claims exiting the EU is 'the will of the people'. "We need to put a stop to this claim by proving the strength of public support now, for remaining in the EU. A People's Vote may not happen - so vote now." Under the UK procedures, any petition that has collected more than 10,000 signatures, requires an official response of the government, and should be considered in the parliament after reaching the benchmark of 100,000. Although the petition has sparked public outcry, the government does not believe it is advisable to cancel Brexit. When asked on revoking Article 50 to allow the UK remain part of the EU, British Prime Minister Theresa May said "it would be wrong." Most supporters of canceling Brexit live in major cities of England and Scotland such as London, Manchester, Bristol, Brighton, Edinburgh, Glasgow, Oxford and Cambridge. The most popular petition on the UK’s parliament website was in June 2016, which called on the authorities to hold a second referendum on Brexit. The initiative was then supported by more than 4 million people. British Secretary of State for Foreign and Commonwealth Affairs Jeremy Hunt said on Thursday that the parliament could hold a vote on canceling Brexit in case the House of Commons failed to adopt an agreement on the terms of cooperation with the EU next week, though he said this scenario was very unlikely. 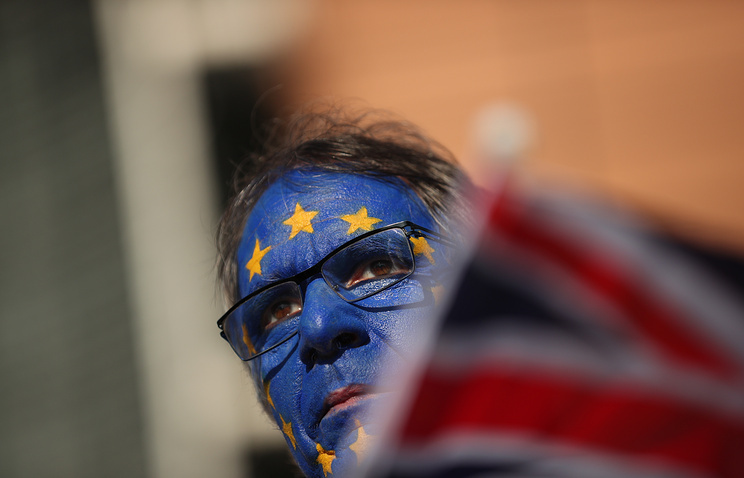 The heads of 27 states and governments unanimously agreed on Thursday to delay Brexit. 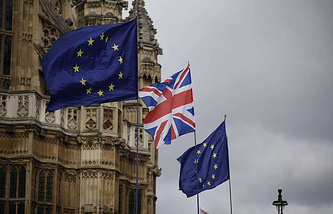 The UK’s withdrawal from the EU will be postponed either until May 22 if the British parliament endorses by the end of March a Brexit deal with Brussels, or until April 12 in case the deal is not backed. The deal on Brexit conditions had been earlier twice rejected by the UK parliament on January 15 and March 12. So far, eurosceptics in the Conservative Party and the Democratic Unionist Party in Northern Ireland that supports May’s government in the parliament, said their stance was unchanged and they would not vote on the deal with the EU in its current form. So, the chances that the House of Commons will approve the deal next week are very slim. The vote is also in question since earlier this week John Bercow, the Speaker of the House of Commons, warned that he would not let the government initiate it for the third time until significant changes were introduced.